Q. I had a concrete patio pored 3 months ago. I have a 6 foot hairline crack in the patio and the red color I had added is fading already, Is this normal? A. 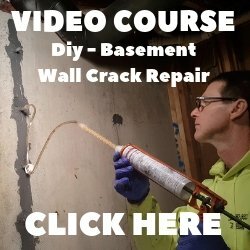 Hairline cracks in concrete are quite common. When the concrete dries it is shrinking in volume. This shrinking process causes a lot of stress on the concrete slab and usually results in small hairline shrinkage cracks. 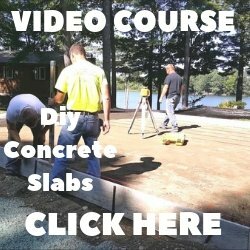 We saw contraction joints in all the slabs we do. This saw joint creates a weak point for the slab to crack into. You still get a crack but it is in the straight saw joint, not just random. Most people can accept a nice straight sawed line versus a not so nice looking crack in their new concrete patio. The red color fading has to do with a couple of things. The first is the moisture content of the slab. When the concrete was first poured the moisture content was high resulting in a darker color of red. As the slab gets older and continues to dry out the moisture content of the slab is reduced. This causes the red color to fade and look more pinkish. The second reason could be the contractor didn't apply a concrete sealer to the concrete the day after the pour. The sealer helps hold the moisture in the concrete resulting in a slower cure and stronger concrete. It would also help keep the red color looking darker red for a longer period of time. Concrete sealer does wear off over time, if you clean your patio with a garden hose and scrub brush, let it dry overnight, and apply a coat of decorative sealer the darker red color will reappear and should last for about a year before you have to re-seal it again.